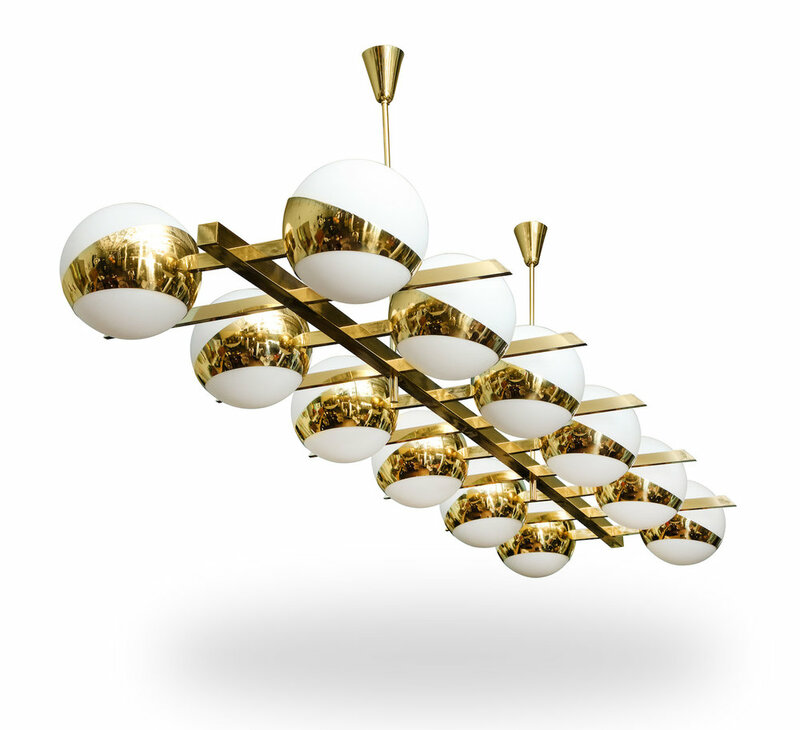 Large-scale hanging light of polished brass with frosted-glass globes. 12 standard Edison sockets and new wiring. Made exclusively for Donzella. 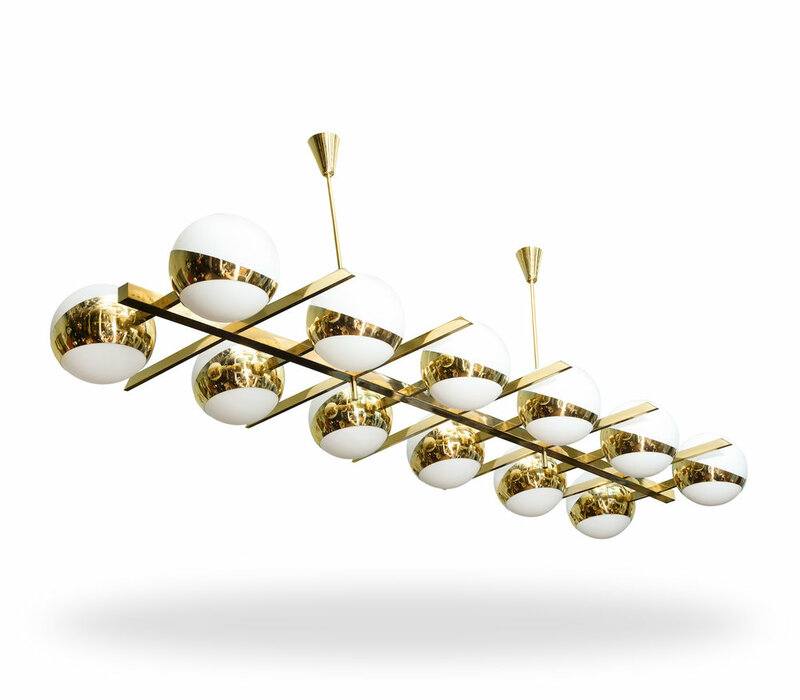 h. 33" w. 93" d. 34.5" globe diam. 10"